I’m a HUGE fan of Swisse Hand Cream – in fact would go so far as to say that it is my favourite hand cream ever! So I was very excited to give some of the Swisse skin care products a go. 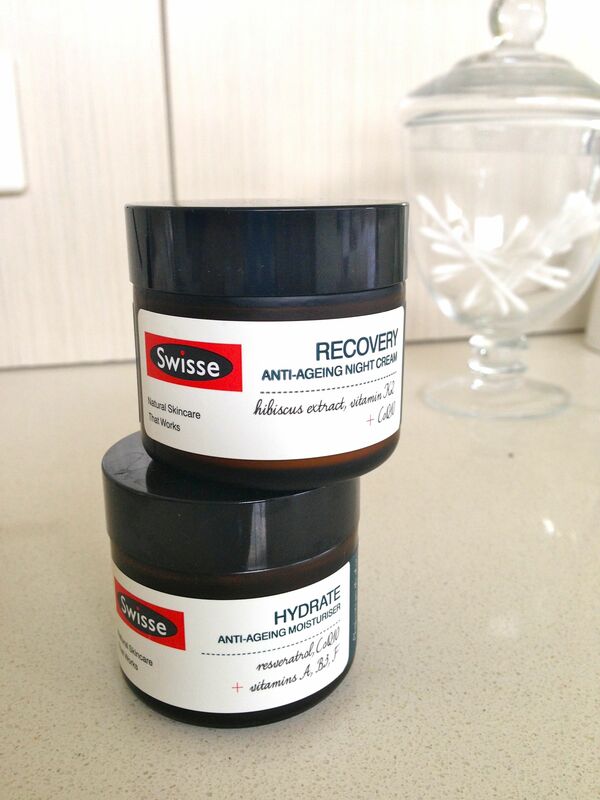 I decided to start with Swisse Hydrate Anti-Ageing Moisturiser (for day) and Swisse Recovery Anti Ageing Night Cream. Both are just $24.95 for 50ml each (a good price in my book) and are available online or at Coles, Woolworths and select pharmacies in Australia. The Swisse Hydrate Anti-Ageing Moisturiser describes itself as being natural and vitamin enriched, as well as being formulated to plump, nourish and moisturise. The first thing I noticed about Swisse Hydrate was how similar it was in colour and texture to Clinique’s classic Dramatically Different Moisturising Lotion. It applies lightly but beautifully, providing just the right level of moisture to feel ‘hydrated’ but not greasy or heavy. I also loved the smell – it’s natural, like something you would expect to find in a spa. It did however have a very light ‘gritty’ texture – which I’m not sure is part of the formula, or maybe just an issue with the particular batch I had bought – but that just took a little getting used to. I’m afraid that’s where the benefits stopped however. 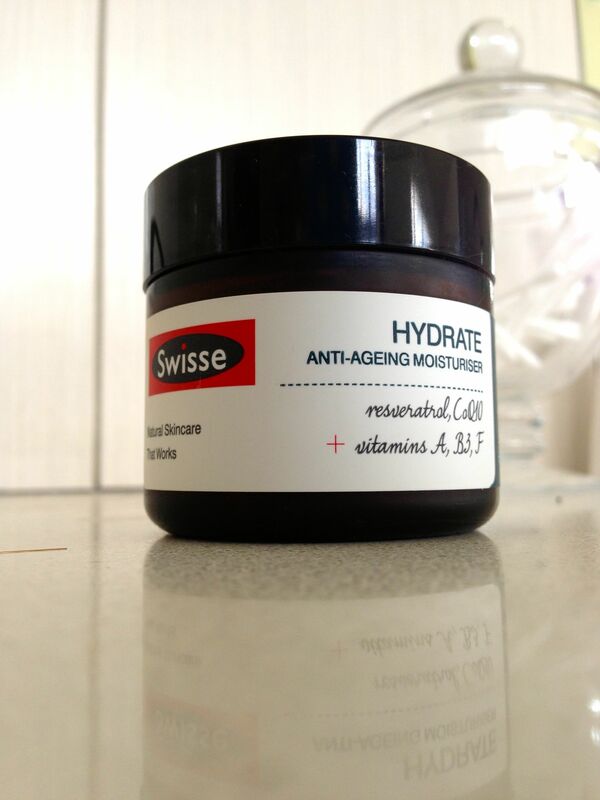 Swisse Hydrate definitely provides moisture, but I didn’t feel any other benefits or improvements in my skin. 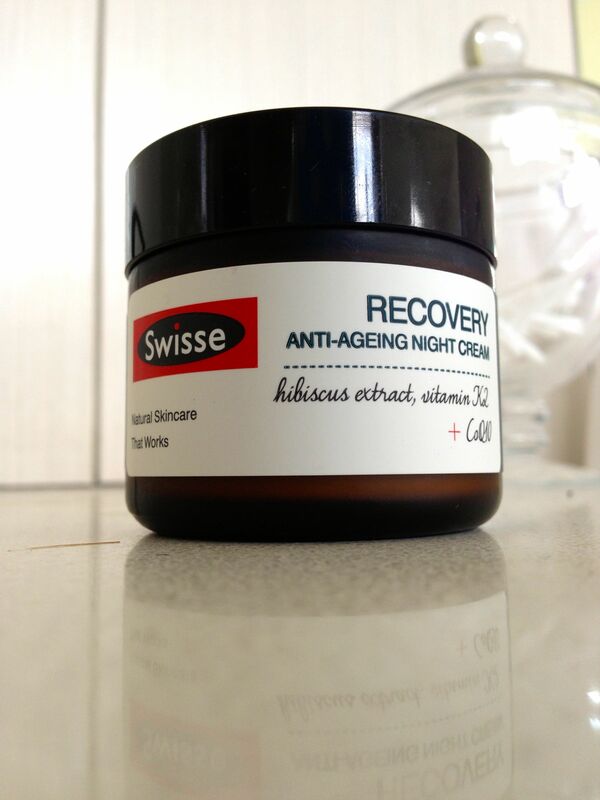 Swisse Recovery Anti-Ageing Night Cream was also yellow in colour, but richer and thicker than Swisse Hydrate. I would definitely agree that it was very moisturising and my skin did feel soft in the mornings, but like the Swisse Hydrate I didn’t feel like I saw any other benefits. Would I buy them again? Definitely. I think they are very good moisturisers – and a great price at $24.95 for 50ml (I also love that the screw top jar means you can get every last bit out – something you are never sure about when using a pump pack). I think for me however, at this stage (starting to get worried, very worried about the signs of aging) I’m just looking for something with a little more ‘punch’.